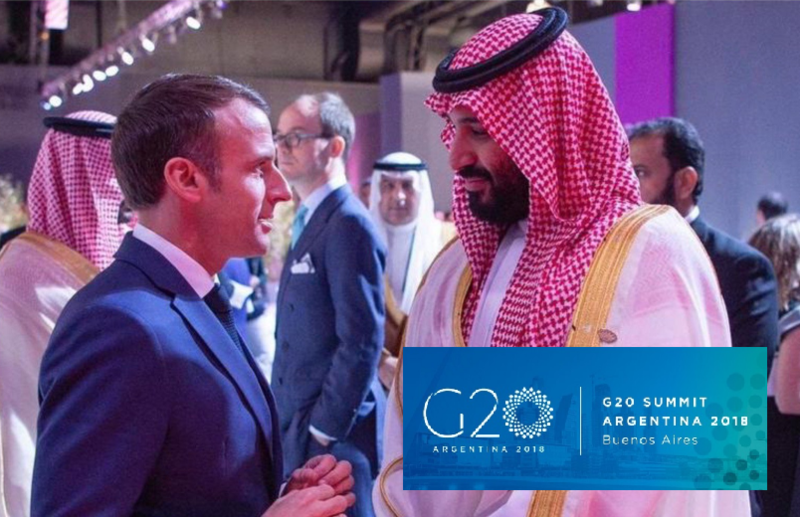 At the G20 summit in Buenos Aires, all eyes were focused on Saudi crown prince Mohammed bin Salman and his alleged role in the murder of Washington Post journalist Jamal Khashoggi. The French President Emmanuel Macron talked to him about it in the corridors, and video of their conversation was later leaked. Whoever filmed the conversation is not clear. "I'm worried, I've already told you. I am very concerned. You never listen to me and I have already told you," French President Macron can be heard telling the Saudi crown prince. "No, of course I listen, of course," answers Mohammed bin Salman. Meanwhile, a secret report from the CIA shows that the Saudi Crown Prince before and after the murder of journalist Jamal Khashoggi sent at least eleven messages to the adviser who led the team that killed the journalist, reports The Wall Street Journal. The content of the messages is not known. The CIA concluded in said report that it is probable true that Bin Salman was involved in the murder in the consulate in Turkey, but acknowledges that there is no direct evidence to link him. Related coverage: G20 – Putin’s Shock MBS "High Five" Stuns Leaders. President Donald Trump had previously stated that the intelligence service had "found nothing with absolute certainty". According to some, Trump is saving the crown prince out of strategic importance. US Secretary of State Mike Pompeo declined to comment on the leaked CIA report. In an interview he repeated that "there is no direct evidence that links him (Prince Bin Salman) To the murder of Jamal Khashoggi". Pompeo says that he read "every piece of information in the possession of the American government". Turkish president Recep Tayyip Erdogan meanwhile demands that Saudi Arabia hand over the suspects for the murder of journalist Jamal Khashoggi in Istanbul to Turkey. Erdogan has already said that he has no confidence in the Saudi justice system. According to the Turkish president, only the Canadian Prime Minister Justin Trudeau addressed the subject of the journalist’s murder during the G20 in Buenos Aires. The explanation of the Saudi Crown Prince about the role of his country in the Khashoggi case was "hard to believe", Erdogan said.